Tidying up your tiny tot’s play area is a doddle with our cream cotton-canvas storage bag. Featuring adorable blue and grey pom poms and personalised with a name of your choice this is as stylish as it is practical. 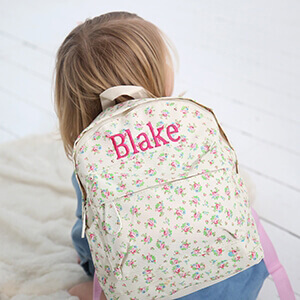 Generously sized, this storage bag is perfect for storing laundry, toys and transporting bits and bobs from room to room. Personalise yours today! Simply enter up to 9 characters and we will embroider it on to your canvas storage bag, for free!